Are we sleepwalking our way into self-driving cars? 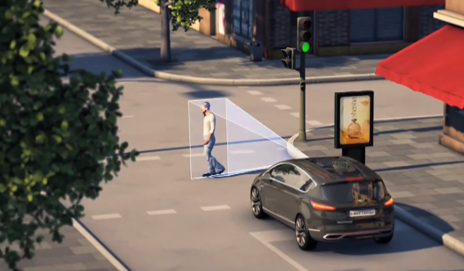 Cars that drive themselves could soon hit our streets, with Ford being the latest to develop this technology. Ford’s test car uses automatic steering and braking to avoid collisions. Is this the future of driving? A car that drives itself isn’t a new idea. Back in the 1950s, American sci-fi comics and popular science journals were full of cars that piloted themselves along newly-built highways while their occupants played dominoes and listened to Chuck Berry records. However, like bubble-top roofs or chromed tail fins, the self-driving car soon faded from public view. It became the stuff of Hollywood fantasy (the Batmobile, KITT from Knight Rider) rather than scientific debate. Finally, that’s set to change. You’ve probably heard about Google’s driverless cars already. These modified Toyota Priuses have completed thousands of accident-free miles in the US, using laser sensors to steer themselves out of trouble. Then there’s Mercedes’ new S-class. This flagship powerhaus has Park Assist to park itself, Distronic Plus to maintain a set distance from the car in front and even Steering Assist to (you guessed it) steer itself, albeit only at low speeds. Mercedes says the next S-class, due in 2020, will be able to drive autonomously. Arch rivals Audi and BMW have similar plans. It’s still at the prototype stage, but Ford’s vice president of product development, Barb Samardzich is already talking about how it could reduce accidents. I don’t know whether these technologies will make our roads safer or not. In truth, nobody does. Having tried some of the systems mentioned – and many others – I think they probably will. But the infamous Volvo S60 demonstration we witnessed in 2010 proves that microchips and sensors are far from infallible. I also worry that these additional safety nets discourage motorists from concentrating on the task at hand. Namely, keeping charge of more than a tonne of metal, plastic and glass. Today’s drivers may be playing Angry Birds rather than dominoes, but the dangers to pedestrians and cyclists are just as real. Ultimately, it will be legislation that decides the fate of the self-driving car. If car companies can be sued when a driving system causes an accident (and it will happen), they’ll drop the technology like a stone. And that would be a shame, because self-driving cars could save lives. There are roads which are not in a built up area nor part of an inter-city route. Hard edges to delineate boundaries are few and far between in the countryside. Mechanical or even electronic application of brakes or steering input when descending an off-camber icy road is a challenge to a human processor. Unless the car is 3D GPS equipped it may not even be aware of the 300m drop less than 1m away. Aircraft autopilots do not have any hard edges to steer by, but they seem to cope quite well with the task of flying a plane in three dimensions. Driving a car is trivial by comparaison. It’s more about cost than capability. I’m not sure that a comparison between cars and aircraft is relevant. Aircraft are carefully designed and well maintained whereas many cars on the road would not pass an MOT and problems with electronics are common. If we want driverless cars we will need to have failsafe systems and better maintenance. I’m sorry to contadict you, em, but driving a car is much more complex than flying an aircraft on autopilot. An aircraft flies in a ‘bubble’ of well defined horizontal and vertical separation from other aircraft. All the autopilot has to do is keep the aircraft at constant height and speed, and pointing in the right direction. Aircraft do not have to contend with the unpredictable cavorting of other cars, pedestrians wandering on to the road, traffic lights, one way streets, stop signs, cross roads, traffic islands, bus lanes etc etc. I’ve seen predictions that driverless cars will make public transport obsolete within 20-25 years which is rubbish. One problem is that once again the technology is well ahead of the legislation and there are numerous points that need to be resolved for example will there be an override switch? Will the infirm and the disabled be allowed to ride around in one and if the occupant is drunk are they, for the purposes of the law, still in charge of the motor vehicle? Once you’ve got to work will it be possible or legal to programme the car to drive itself home so the other half can take the kids to school or will it be able to do that by itself too? I think the one thing that could bury driverless cars is customer resistance but then if it’s forced upon us by the experts in Brussels we may have no choice. RESEARCH HAS FOUND that drivers would rather buy a self-driving car from Google than from a carmaker like Ford. The KPMG study “Self Driving Cars: Are We Ready?” was based on a combination of surveys and collated “web chatter” and showed that Google was the brand most associated with autonomous motoring, followed by Nissan, after the latter firm’s pledge to produce a self-driving vehicle by 2020. Would you rather buy a self-driving car from Google than Ford? Ten years ago I’d have rejected this out of hand, but I think it’s an idea whose time has come. The feature list for my next car will include lane departure warning, blind spot warning and adaptive cruise, and ideally driver alertness monitoring, but why retain “the nut behind the wheel” at all? For long motorway journeys it would be perfect to be able to press a button and get on with something productive. I seriously think that driving is the second biggest timewaster after email!